Islamabad (Staff Report): Senior judge of Supreme Court, Justice Azmat Seed has been discharged from hospital, sources confirmed. According to doctors, Justice Azmat Seed is out of danger and stable now. 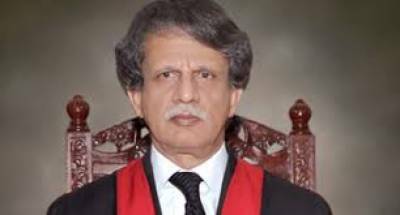 Earlier Justice Azmat Seed was admitted to Rawalpindi Institute of Cardiology (RIC) after chest pains where he underwent a successful angioplasty, doctors confirmed that he had suffered a heart attack. It is pertinent to mention that Justice Azmat Saeed is part of a 5-member SC bench that is hearing the Panama leaks case against Prime Minister Nawaz Sharif and his children on daily basis. The bench, headed by Justice Asif Saeed Khosa, is comprised of Justice Ejaz Afzal, Justice Gulzar Ahmed, Justice Sheikh Azmat Saeed and Justice Ijaz ul Ahsan.